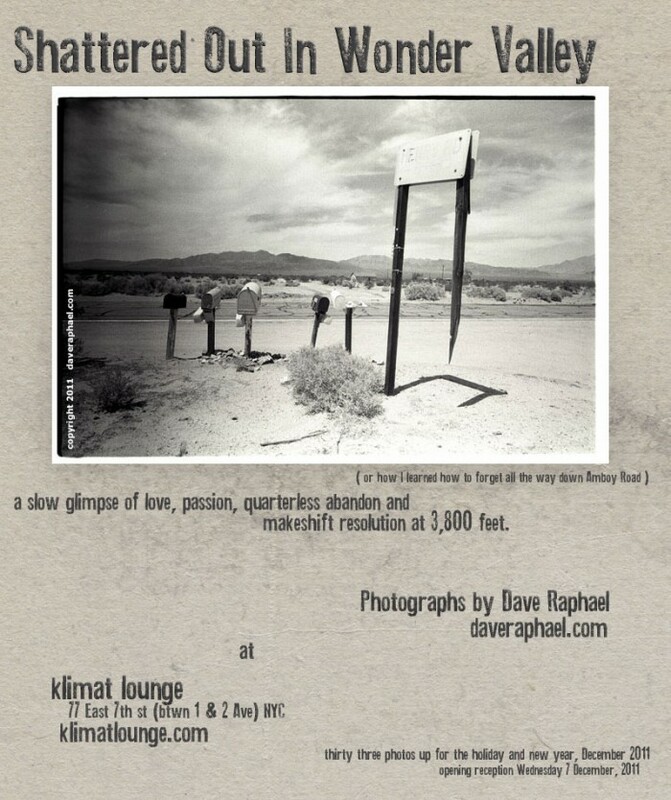 I discovered this 2011 photography show in New York City featuring cabins and various other ruins in Wonder Valley. The copy on the flyer reads, "a slow glimpse of love, passion, quarterless abandon and makeshift resolution at 3,800 feet." I've lived in tourist towns before - Sun Valley, Idaho; San Francisco and Los Angeles - and am used to this kind of exoticizing in those places, but I really didn't expect it here, in our little rural community. I haven't been here long, so it's still amusing. I imagine it must wear on the people who have lived here for a long time.